We are the leading manufactuer and trader of the Flour Mill Plant. Highly reliable and rigidly fabricated Automatic Whole Wheat Flour Plant is providing by us to the customers. 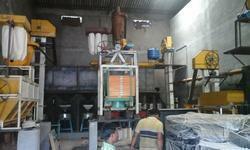 This Automatic Whole Wheat Flour Plant is manufactured by using latest technology and high grade components. Also, our Automatic Whole Wheat Flour Plant is easy to operate and effective to use.